For more than thirty years, Paul Yee has written about his Chinese-Canadian heritage in award-winning books for young readers as well as adult non-fiction. 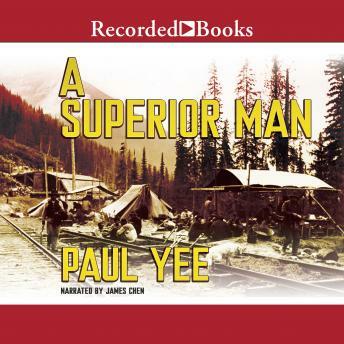 Here, in his first work of fiction for adults, he takes us on a harrowing journey into a milestone event of Canadian history: the use of Chinese coolies to help build the Canadian Pacific Railway in British Columbia in hazardous conditions. After the CPR is built in 1885, Yang Hok, a former coolie, treks along the railway to return his half-Chinese/half-Native son to the boy's mother where he confronts the conflicts arising from road-building among the Chinese and Native peoples. Hok's guide on the often perilous trip, Sam Bing Lew, also of mixed Chinese-Native blood, urges Hok to take his son to China, while Hok has dreams of finding fortune in America. The two men agree on little, as many issues fester between Chinese and Natives at a time when both races were disdained as inferior by whites ("redbeards"). This far-reaching novel crackles with the brutal, visceral energy of the time-a period marked by contraband, illegal gambling, disfigurement, and death. It also depicts the bawdy world of Chinese "bachelors," whose families remained in China while they worked in Canada, and who enjoyed more freedom to live their lives without restraint. Yang Hok is not an easy man to like; but through the blood and sweat of his experience, he aspires to become the "superior man" he knows he should be. Boldly frank and steeped in history, A Superior Man paints a vivid portrait of the experience of the Chinese in North America in the 19th century. Paul Yee's twenty-seven books for young people include the Governor General's Award-winning Ghost Train. This is his first novel for adults.